Gun Marine Services vessels are equipped to carry out both offshore oceanographic and geophysical surveys with experienced crew. GMS have provided these services for Federal and State government departments, private business and international companies. GMS employs fully qualified, professional staff trained to ensure that oil spills are managed and maintained to the utmost of their abilities - ensuring both you and the environment are receiving the best service and assistance possible. Our range of diver support services includes support of in-water vessel hull inspections, environmental studies, salvage operations, emergency repair and de-fouling works. 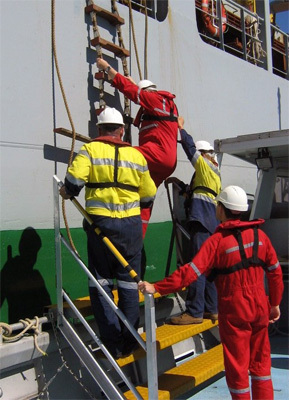 Gun Marine Services offers personnel and equipment services to the offshore industry, including vessel-to-vessel and vessel-to-platform crew change, seafreight transfer, emergency evacuation, equipment transfer and 'hotshot' transfer. Environmental Investigations have included support of intertidal, shallow and deep water studies – including Benthic Ecological studies as well as Water and Sediment sampling / quality studies.